Welcome to our Kayak Essentials coaching courses! Our high-quality coaching courses have an enviable reputation for success. Whatever your aims and experience, our coaching will help you achieve real paddling improvement. we also offer white water kayak and open canoe coaching courses. ‘essential’ events and expedition guiding. we look forward to joining you on the water! For personal coaching, there are no fixed programmes – the content of each course will be based on your experience, aims and time available. Contact us to discuss your plans and we’ll work out a program best suited to you. problem-solving skills. Our courses meet and exceed the syllabus content of BC coach / leader qualification courses. If you’ve set your sights on a British Canoeing qualification, we can provide further training / assessment preparation days, focusing on key areas that you wish to address. We have an excellent track record of successfully preparing candidates for future British Canoeing assessments. Experience the best of North Wales sea kayaking – Bardsey Island, the Stacks, the Skerries, Anglesey North Coast! We offer exciting and memorable guided sea kayak adventures. Trips are with Matt and Nick, whose 15 and 30 years’ experience in North Wales waters will enhance your enjoyment of this superb sea kayaking environment. 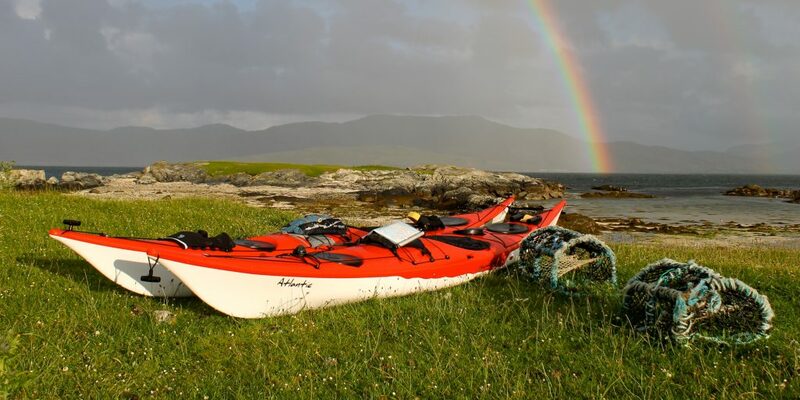 Dreaming of unforgettable sea kayaking adventures on wild remote coastlines? We can help you to achieve your goals. We specialise in developing independent sea kayakers – our coaching sessions can help you to develop confidence and decision-making, technical and tactical skills, and physical preparation for your dream trip.